The Red Deer Christmas Bureau would like to thank everyone the amazing support they’ve had again this year. Together, we will help 1020 children have a wonderful Christmas morning with Santa arriving and a warm meal for their families on Christmas Day. 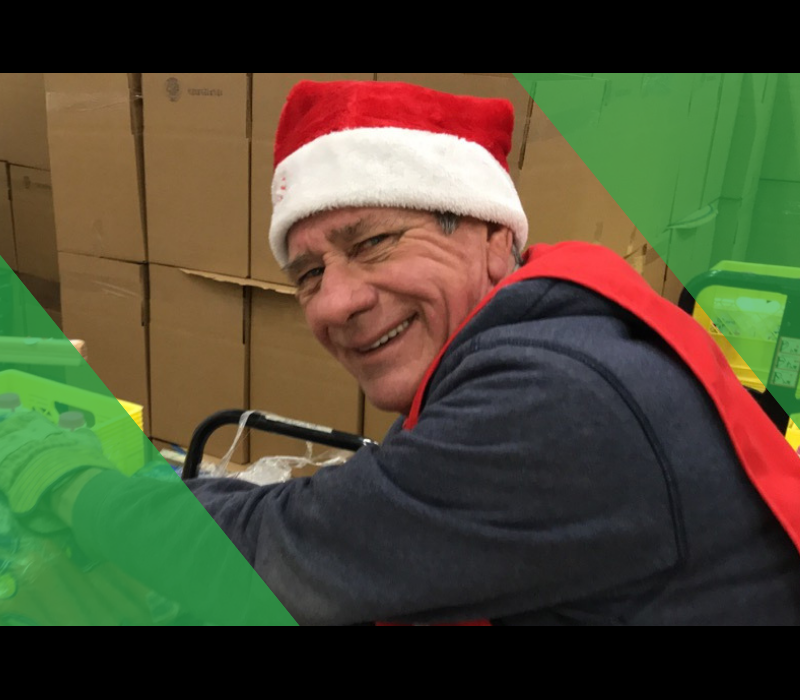 Watch this heartwarming video and know that thousands of Central Albertans support the Red Deer Christmas Bureau in a variety of manners. Red Deer… this is the result of your generosity, your time, and your love for your neighbours. Thank you and Merry Christmas! If there’s one place in Red Deer that best resembles Santa’s Workshop it has to be the Christmas Bureau. Many weeks before the big day the donations start to arrive. Christmas gifts, food, and money will all be donated… stored, sorted, displayed… and parcelled up for their trip to over one thousand homes in the area. They say the Christmas Bureau helps at least one family on every street in town. As you might imagine the days before Christmas can be quite hectic as everything comes together at once. All the gifts are dispersed through the city to be wrapped and stored under Christmas trees waiting for this special morning. All the food and goodies are sorted and placed in over 1000 boxes. Then with a real sense of excitement and urgency, hundreds of people file politely into the Red Deer Christmas Bureau. For two straight days over 500 Christmas Food hampers are presented to deserving families who’ve arrived to pick them up. Thousands of Central Albertans support the Red Deer Christmas Bureau in a variety of manners. Red Deer… this is the result of your generosity, your time, and your love for your neighbours. Thank you and Merry Christmas!